While it's true that there are no hard and fast rules when it comes to mixing, there are some common grounds that nearly every engineer can meet on. Though this list could be exhaustive, I have tried to narrow it down to just five. (I don't know why I like five so much) Ok, so here we go! 2) Room Trearment- Though the brand, amount needed, and such, is a topic of debate, the one thing everyone can agree on is that you at least need something. Whether you are mixing R&B, Rap, Rock, Pop, etc., you still will need some kind of treatment for your room. There are many options to choose from and really it depends on what you are working with, but there are definitive ways to know what you need, and where to put it. One such resource that I have used is the Room EQ Wizard. It is free and there are extensive tutorials on YouTube. Another great tip is the "Mirror trick", which will help you to pinpoint your areas of early reflection. You also need a good balance of treatment when it comes to treating for frequencies. Tom much can kill a rooms natural sound, and not enough can play tricks on your ears. There must be a yin and yang of bass treatment as well as mid and high frequencies as well. Click the picture below for some great deals on name brand acoustic foam. You can also check out this cheaper alternative Foam By Mail. They offer cheap acoustic open cell foam for a fraction of the cost! 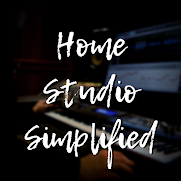 3) Mixing Desk Placement- Yet again, this is a tip that is generally know by all, but for those who may not know, it really matters where you place your desk in the studio. The rule of thumb is to place your desk along the longest wall in the studio so as to minimize EQ anomalies. But for some of us, myself included, that is simply not an option. My plug ins will not allow me to put my desk where I want it, so now what? Well, that will be covered in the next tip! 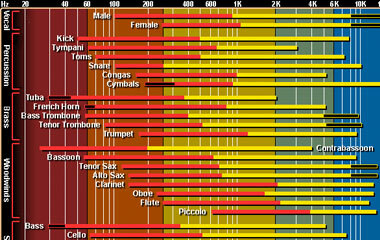 4) Mixing Levels- Did you know that there is a sweet spot for mixing levels in terms of loudness? Yep, even some of the "greatest" engineers have stated that the ideal listening level is close to 85dbs! Or, another way to know how loud is to loud, is to get your listening levels to the point where you can still have a normal conversation with someone in the same room and not have to yell at them. Think I am making this up?! Here is the same thing I just said from Chris Lord-Alge, I think he's famous or something. So, as stated above, if your desk is not in the prime position in the room by simply listening to your mix at lower levels you can drastically improve your EQ decisions. This also helps to combat a lot of the issues of a room that's either not treated at all, or treated very poorly.Then of course there is always the option to mix on headphones! Yes, I said that! Believe it or not there are quite a few industry leaders with some clout that are promoting this idea as well! I am sure you've heard of FocusRite?! They actually developed a VRM headphone monitoring system which emulates the sounds of several famous reference monitors wihtin your headphones! Pretty cool! 5) Get It Right At The Source- One of the best ways to get great mixes is to record great sounding takes. The cliche of "Fix it in the Mix" is a fallacy! You cannot polish a turd, and you can't fix some things no matter how good you are! This has been shouted from the rooftops and yet still people are trying to take average recordings and turn them into polished Masters. The reason why the "big studio" guys can get such great sounding mixes and masters is because their tracks were recorded well. It really comes down to about 20% gear, 20% engineer, and 60% captured sounds. My mixing mentors have told me time and time again to get it right at the source before you do anything else! Also, just take a moment to watch some Pensado's Place and just listen to the tracks he is working with. It will open your eyes, and your ears to a whole new world of thought.